Growth:Suddenly you’re bringing in more clients and driving up revenue. You’re clearly doing something right, but are you experiencing congestion with all that growth? Extension: You’re not just taking the road less traveled; you’re creating all-new ones, whether you’re launching a new line of business in your current location or expanding globally. Will the construction cause delays, or take you to new places? Efficiency: Pain at the pump means you have to make that mileage work for you. Is your talent management strategy helping you maintain high performance, or is your company guzzling gas? Innovation: Vehicles serve multiple purposes today, beyond transporting us from point A to B. Is your company going to transform with the market or change the market completely? Even if the road looks clear, there could be obstacles along the way. With a great talent management strategy, you’ll be ready for potholes, from erratic markets to global uncertainty. Mapping out your talent management strategy may seem overwhelming, and fear of the unknown may have you idling in neutral. It doesn’t have to be that way. You can find roadside assistance with Stutzen. We have extensive experience helping companies of all sizes and in many industries get real results from their talent strategies. We know what works. Every business needs great people to help unlock its full potential. As your business changes, so do your talent needs. Let Stutzen show you the routes to optimal talent management. Growing means that you’ll be widening those roads you travel on your daily commute. Through careful planning, you’ll be adding lanes instead of creating operational congestion. 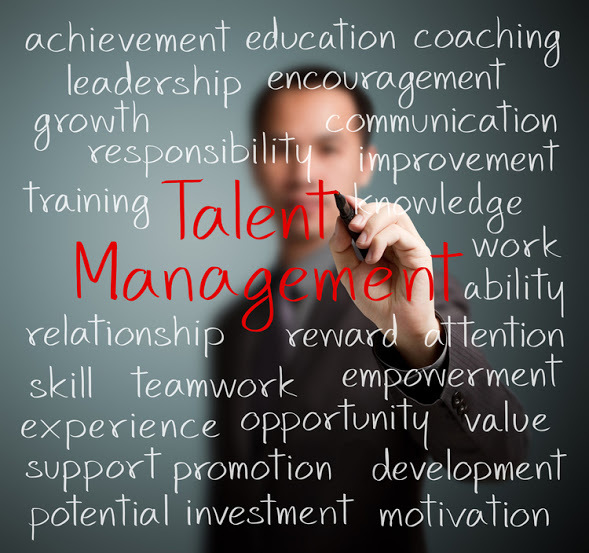 The right talent moves can speed up progress and then help your business manage that growth. Maximize productivity: Regular communication and meaningful feedback can improve business execution and increase the productivity needed for growth. Performance management gives you the framework to discuss, measure, and improve employee performance. Find out what makes “great” employees and use that model throughout the company. Keep people aligned:A big part of goal management is getting everyone on the same page. Explain the mile markers the company wants to meet and cascade those goals down to the individual level. By tying goals and progress back to the business, you can maintain alignment even as your company grows. Incentivize exceptional performance: Giving employees a stake in your success is one way to unlock faster growth. You can reward the people who are driving your business’ success by connecting incentives with the business results you want to see. A compensation management system makes it easy to monitor progress and reward top performers. Replicate great talent through effective recruiting: As your business grows, you must be able to hire people who are like your proven top performers and who will fit into your unique culture. Recruiting technology makes it far easier not only to hire top-quality performers but also to find the people who will be the right fit for your organization. Mobilize your teams: When you have to deploy your teams quickly to meet your growth demands, they need resources at their fingertips. With talent management mobile applications, employees have real-time status updates when they’re on the road and on the go. Create the bench strength you need: What are the roles you will need to maintain your growth into the future? You don’t just grow revenue, you also grow the people you’ve got. Succession planning makes it easier to map internal talent against future needs. Understanding these needs makes it easier to develop current employees to fill those roles in the future — which puts you in a position to accelerate growth. Scale employee data management: As you grow, rely on core HR self-service features to engage employees and managers to access and update employee data. Employees can update their profile information, such as skills and competencies, as well as initiate their own transactions, such as change of address and tax withholdings. Managers can use self-service to update and view information about employees on their team, including promotions, salary changes, terminations, and more. Extending the business means adding roads and navigating through the unknown. Business expansion can occur in many forms. It may mean launching a new line of business in your current location or expanding globally. Regardless of how you extend your business, you must have a plan for how your people will get you there. Through insight and proactive talent management, you will prepare your team to face the challenges of extension and prepare to pave new roads ahead. Centralizing your workforce data: Expanding into a new market means moving your workforce into new regions. Instead of segmenting your workforce systems, ensure that all employee data is centralized in a single core HR system. You’ll gain greater visibility into your workforce, and easy access to comprehensive employee data and reports will help you make better decisions about other expansion opportunities. Staffing for new lines of business or new locations: As you build new roads, will you need more of the same people you currently have, or will you need different types of employees? Recruiting will be crucial to filling those talent gaps, especially if you’re searching for very specific skills sets or if you need to hire several people in a short time. Determine the talent you will need, and set up an action plan for recruiting. Aligning people with goals and avoiding confusion: As you open new locations or create a new strategy, you need to get people on board with your new vision. Existing employees need to understand what you’re trying to do. New employees need to understand where they fit in. Senior management needs a way to clearly cascade the new direction throughout the organization. Goal management tools can bring clarity and transparency, and can keep everyone aligned with the changes that expansion brings. Keeping people focused on the right things: Extending the business means change, and change means uncertainty for employees. Performance management, with clear coaching and meaningful feedback, keeps everyone engaged. Employees shouldn’t worry about how the change impacts them, and managers don’t need to wait until review time to provide meaningful coaching. Feedback can be shared as often as needed, and team performance can be easily calibrated so everyone can focus on what’s most important. Retaining your best people: Uncertainty also creates opportunities for the competition to poach your best talent. Career development plans that demonstrate a career path at your company can show your people what’s in it for them. Publicly appreciate your team members and assure them that the challenge of paving new roads leads to great things. Take time to put a proactive retaining and developing strategy in place. If your top performers see a future with you, they are more likely to stay with you. Adjusting compensation based on market conditions: Compensation management makes it easy to create incentives-based compensation that rewards people for real results and drives retention. Consistently research what the market is paying for specific positions. Remember, compensation localization is important to consider when going into a new geography. You can get out in front of pay discussions before dissatisfaction sets in and turnover occurs. Employees are also more likely to stay with your company if they believe they are being compensated fairly. Keeping people engaged: People are naturally social creatures. They also want to have some kind of influence on what happens in their work. Collaboration tools, such as Asana.com, open up opportunities for employees to engage with one another, sharing expertise from the road. Whether employees need to find a subject matter expert on the other side of the building or in an office in the next state, social tools make collaboration easy. In most companies, budgets have been tight for years. Doing more with less has become business as usual, and in some cases, you may have had to operate on nothing more than gas fumes. The automation of manual processes can reduce costs and cycle times for many talent initiatives but can also deliver value in ways that go far beyond efficiency and cost control. nowing the channels that lead to quality hires:Quality hires become more important as your business tries to do more with less. Using recruiting tools and market research, determine which channels provide the highest-quality applicants. You don’t want to waste money on channels that deliver mediocre applicants, especially when dollars are tight. Understand that you have to invest in managing your strategy up front; hiring low-quality candidates results in increased costs due to inefficiencies, disruption, and future recruiting. Providing feedback so people grow and don’t repeat mistakes: As a small business, you don’t have time to make the same mistakes over and over. Through effective goal management, you can track when goals and tasks get off track. Documenting the issues allows you to create a history with specific employees, projects, and markets. The individual employee will grow from the experience. Employees who are also sharing best practices can improve the overall performance of the team. Reducing errors: Data-entry errors in a budget spreadsheet can cause headaches for the business or, in the worst cases, compliance problems. Compensation management technology makes it impossible for a small change in a formula to create a financial and employee relations catastrophe. Driving accuracy increases efficiency, and your business can make decisions knowing that you’ve reduced the risk. Staying connected with the organization: Business is running anytime, anywhere. Big efficiency drivers include on-demand access using multiple devices, such as mobile phones, that cloud-based talent solutions offer. Logging in from anywhere means you can respond faster to the business. Access the company’s organizational chart to find and locate people quickly. Connect with a job candidate on LinkedIn or approve someone’s raise quickly and easily. You can also stay connected with your people and projects through mobile social learning. Break learning out of the classroom through wikis, portals, and mobile training modules. Developing tomorrow’s rock stars and leaders: Identify your top performers early and often. Instead of facing the costs of replacing great talent, have frank conversations with them about how they can fit into the company’s future success. If budget means you can’t reward financially, reward through development perks and flexible programs. Using integrated develop- ment tools can allow these key performers to maximize their impact. For example, leaders can benefit from coaching that comes through online best practices, not just in-person sessions. Also, know a leaky engine when you have one. Poor performers can cost more time and money than you would like. Integrating core HR data with talent management initiatives: Leaders in small to medium-size businesses need to increase efficiencies wherever they can. When you integrate your core HR data with solutions for other talent management initiatives — such as performance and goals, compensation, learning, and social collaboration — you create a full 360-degree view of the workforce and can make faster, more-informed decisions. Helping people find information on demand: Information sharing is critical to an organiza- tion’s success, especially in a fast-paced environment. Just-in-time learning means that people have to have collaboration tools at their fingertips to get the information they need at the moment they need it. Through sharing, expertise isn’t locked in a corner office but instead is available through your network. Build an internal crowdsourcing culture by granting access to your teams. Building your company through innovation changes the nature of your business. If you’re building the future of your business by developing a big idea or a breakthrough product, your success hinges on your people. Innovation doesn’t happen because you say, “Today, I’m going to innovate.” It happens because someone sees a problem or an opportunity for improvement that hasn’t been tapped into. A light bulb goes on. Your people will be the ones who identify these solutions and put innovation into practice. Will your company be using new types of fuel for power, or will you be replacing roads entirely? Beyond roads, we navigate the sea, air, and space. There are so many ways to change your business; you’ll draft maps with new destinations in the market. Even if you can’t schedule when that next great idea comes along, you can proactively foster innovative thinking in the culture and structure of your business. Unleashing innovation by creating a single source of truth: An ideal culture of innova- tion can best occur once your company data and processes are streamlined and efficient. When you integrate employee data across your entire ecosystem, you provide a foundation for innova- tion and create a “single source of truth” for quality data. Further integrate your core HR and talent management data with third-party solutions for payroll, benefits, ERP, and time manage- ment solutions to create easy, fast, and cost-effective access to data and reports, all on a single global platform. Hiring the right people for innovation: In order to innovate, you have to find those people who will challenge and change your business. You will know whether you need to tap academic institutions for scientific talent or the social web to hire creative talent. Recruiting processes tied to future needs will help you identify candidates with the cultural qualities you want to cultivate in an innovative environment. Developing skills internally: Building innovative thinking in your organization requires exercise. Development programs can foster continuous learning and provide challenging problems that shift the way your employees think. Just shifting the context surrounding a problem can bring to light new answers and solutions. Changing the dynamic on a regular basis will encourage people to think beyond the issues presented and toward the possibilities. Developing people is ensuring that your business won’t run out of gas when implementing innovative practices. Compensating people to reward innovation: Meaningful compensation plans articulate how you reward not just the work someone does today but the work you want them to develop in the future. In order for someone to step away from their day-to-day tasks, they have to know that innovative thinking is encouraged and that adopted recommendations are rewarded. Outlining how you incentivize innovation will drive engagement, incite performance, and foster retention of your top talent. Understanding risks from skills gaps: To stay competitive, you have to not only deliver what is required today but also maneuver to position yourself as an innovative leader in your market. Succession management will be critical to identifying the gaps in talent that will hinder you from innovating and from differentiating yourself in the future. Without filling those skills gaps, either through development or recruiting, you run the risk of not being able to respond when things change. Some products become obsolete with innovation, so you have to be ready to make shifts. Think of the people needed to innovate from tape decks to CD players, then to MP3 devices. Getting people to work together: Use social collaboration tools to break down silos by encouraging sharing and collaboration. You’re essentially taking your company culture online. Social tools also increase the effectiveness of talent processes, such as learning and onboarding. The informal nature of social collaboration software encourages creativity and teamwork — qualities that many employees love about small businesses.